Green tea is not only a great everyday beverage, it can also help you maintain overall good health. And, it contains natural substances that offer weight management support. If you do not regularly drink green tea, Life Brand offers 200 mg of Green Tea Extract in every capsule. To be used with a program of reduced dietary calories and increased physical activity (if possible) to support weight management. 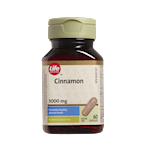 This product contains 1.5 calories and 0.3 mg of sodium per capsule. No gluten, lactose, soy, yeast, preservatives, artificial flavours or colours. Adults: Take 3 capsules daily with meals or as directed by your health care practitioner. For use beyond 12 weeks, consult a health care practitioner. Keep out of reach of children.Consult a physician prior to use if you have an iron deficiency, a liver disorder or develop symptoms of liver trouble and/or if you are pregnant or breastfeeding.